Black on white. Cars, vehicles. 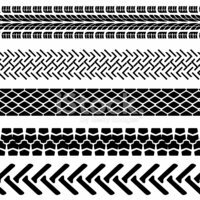 Bold pattern with stylized graphic tire marks.